The Max collection with an extended range of seating options, and the Thomas console with a marble top and re-articulated leg detail. The Anita armchair re-articulated, the new high-back version with its simple rod base projecting 1950s glamour. 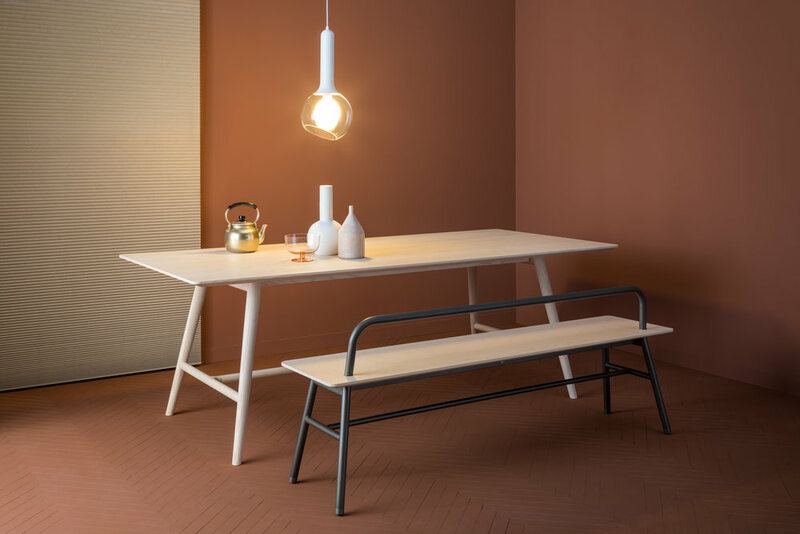 Designed by Italian studio Metrica and made by local manufacturers in Italy, 10 new additions to the SP01 Design collection include occasional chairs, a sofa, a bench seat, armchairs, and a selection of new tables. What began in 2016 with a tightly edited collection of design basics, the SP01 Design story has developed a reputation for well-made and functional furniture pieces, and for precise detailing and honed, natural materials that perform as both structure and finish. It is the craftsmanship and precision that comes out of age-old manufacturing processes deep within the traditions of the Italian furniture industry that has shaped the identity of SP01. Working with Italian suppliers who can produce both large and small quantities, the relationship has developed through problem-solving and prototyping. "They don’t say no when they see something difficult," remarks product manager Hanna Köng who worked with the Metrica design team on the first collection and has now joined SP01 in Australia. "A lot of the factories are family owned, they grew up in the business and they have it in their blood. They like to play and find solutions." The expanded Holland collection includes a new bench seat and table. 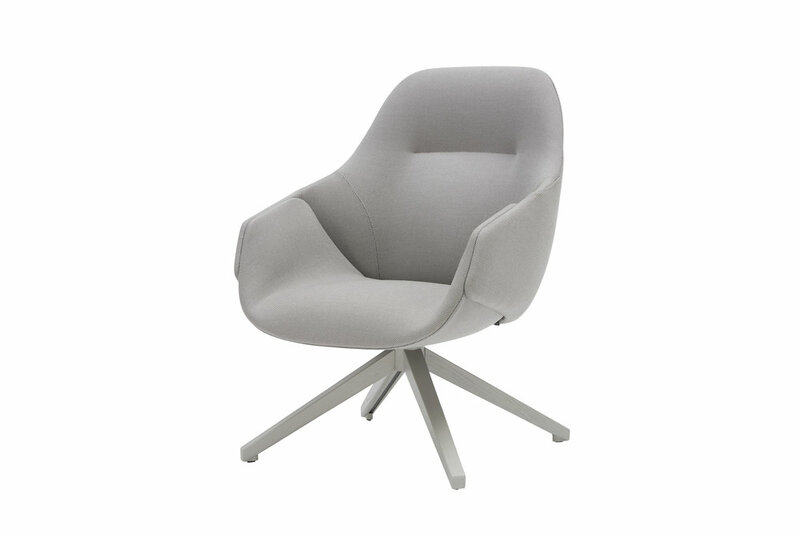 The new Thomas chair collection now has an expanded range of chairs designed for the home, restaurants and workspaces. The Holland desk with its beautifully integrated drawer. In the new iterations of seating, the Anita and Thomas chairs have been preserved but adapted. Anita is now available in a high-back version, with a simple rod base that follows the contours of the chair and is reminiscent of the rich textures and style of the 1950s. While the Max sofa now includes a corner sofa and an armchair. "I think in the extension collection you can see both Metrica and SP01 are becoming more comfortable with the collaboration and while the pieces certainly retain a sense of simplicity", remarks Matt Lorrain. "There is definitely a more unique character emerging." While the latest additions nestle in comfortably with the original SP01 collection they also add character and depth, and Lorrain is continuing the process working with Metrica on SP01's first modular storage collection to further fill out the range. "Metrica intrinsically has a very minimal approach to design and “Yee” is a project underpinned by a rational framework," enthuses Lorrain. 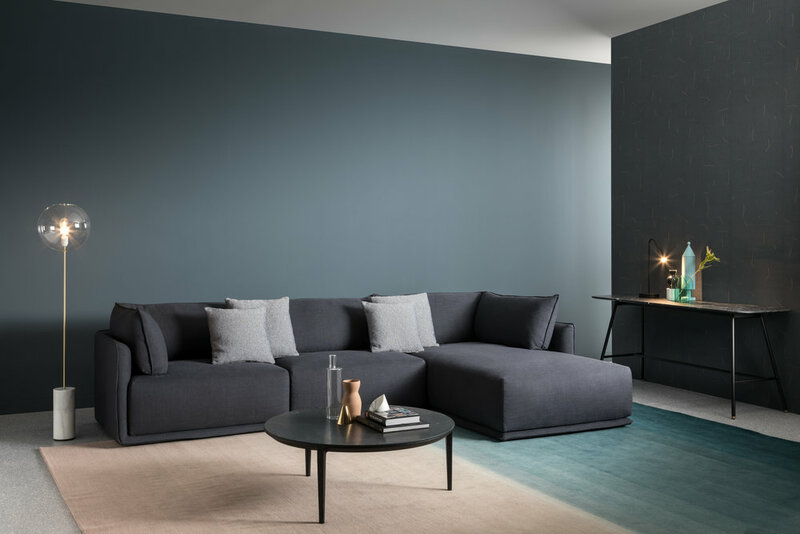 "It will have a somewhat softer appearance and the option to customise and combine finishes so the idea is to create a collection filled with personalised compositions." The SP01 Design collection is available exclusively in South East Asia from Space – Australia and Space – Asia.